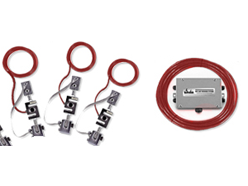 The RL1600 Series Mounting Module Kit utilizes several components to provide an unmatched level of performance in tank and hopper weighing applications. The RL1600 Series kit is ideally suited for indoor and outdoor process control operations in the medium- to high-capacity ranges. 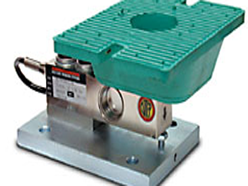 RL50210TA mini tank weigh module delivers consistent accuracy to in-motion, compact tank and platform scale applications. It is easy to install and ideal for indoor installations where checking requirements are low, and moderate vibration and shock occur. RL50210TA modules feature environmentally protected load cells and neoprene isolation/compression load plates that provide vibration dampening and shock resistance. 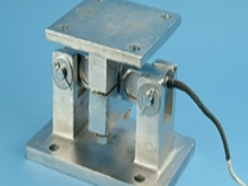 ITCM Series Isolated Tension Cell Module utilizes several Rice Lake Weighing Systems components to provide an unmatched level of performance in tank and hopper weighing applications and mechanical scale conversions. The ITCM incorporates clevis and unique rod end ball joint assemblies to reduce the overall length to less than half of the traditional tension cell mounts, while providing correct load alignment.